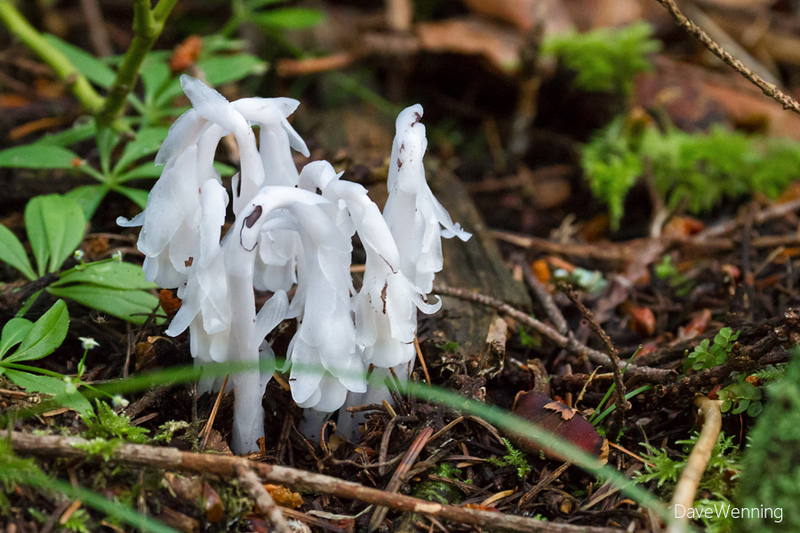 One of my discoveries in the newly opened Kukutali Preserve is the Ghost Plant (Monotropa uniflora). I had never seen this plant growing in the wild. 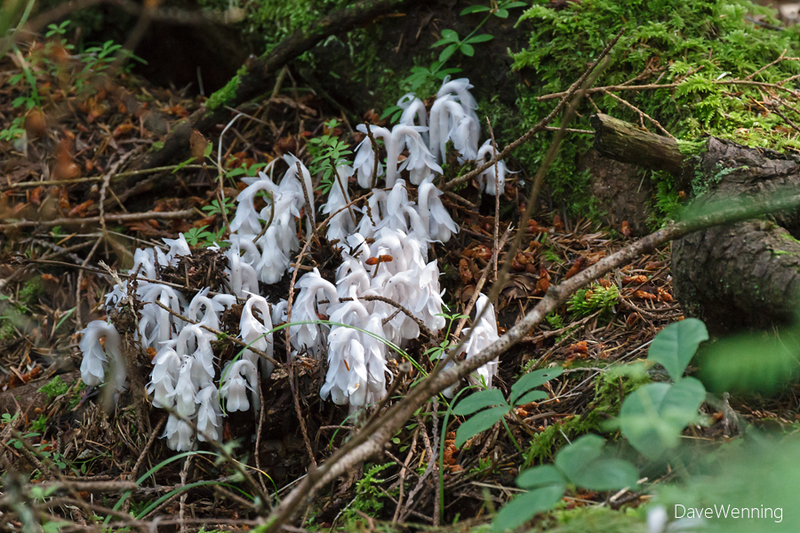 It also goes by the name Indian Pipe and Corpse Flower, but I like Ghost Plant the best. It is appropriate for a pallid, colorless plant with a translucent quality. 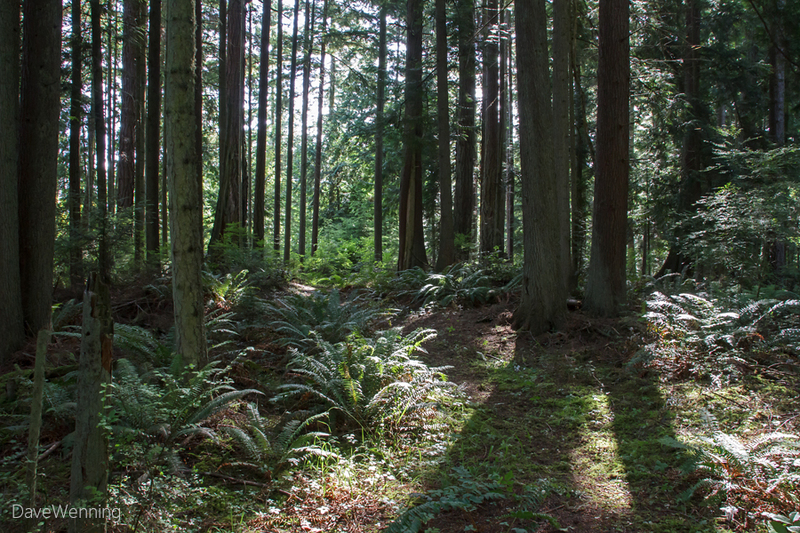 The new North Trail on Kiket Island rises into a closed canopy coniferous forest. The center section of the trail levels off and this is where I see Ghost Plants growing in profusion. 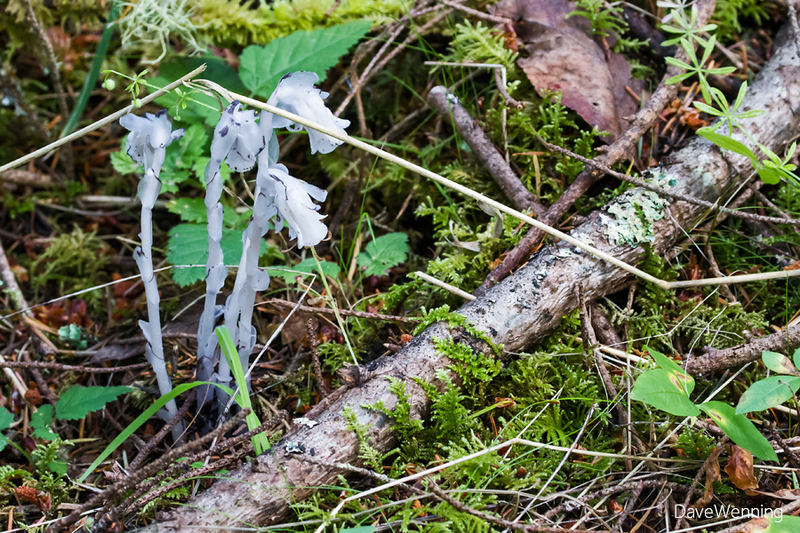 It seemed appropriate to give the North Trail a nickname, the "Ghost Plant Trail." A closed canopy of Douglas and Grand Fir lets in just a bit if dappled sunlight here and there. 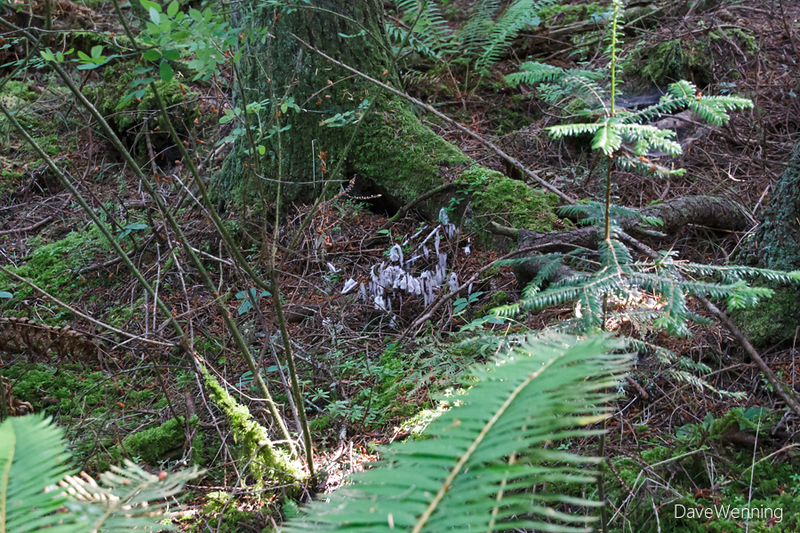 The forest floor is covered with mosses, Western Sword Ferns, Salal, Snowberry and a myriad of small plants. The Ghost Plant is parasitic meaning it derives benefit at the expense of another organism. It contains no chlorophyll and thus cannot produce its own energy from sunlight. Instead, it parasitizes certain mycorrhyzal fungi that are associated with the roots of nearby trees. Carbohydrates produced by photosynthesis in the tree are passed through its roots to the fungus. In exchange, the fungus provides water and minerals to the tree. The association also imparts disease protection to the tree. Nutrients produced by one tree can be shared with other trees and plants through the fungal network. By this mechanism, the big "mother trees" help to nurture the smaller, weaker trees and other plants in the forest. 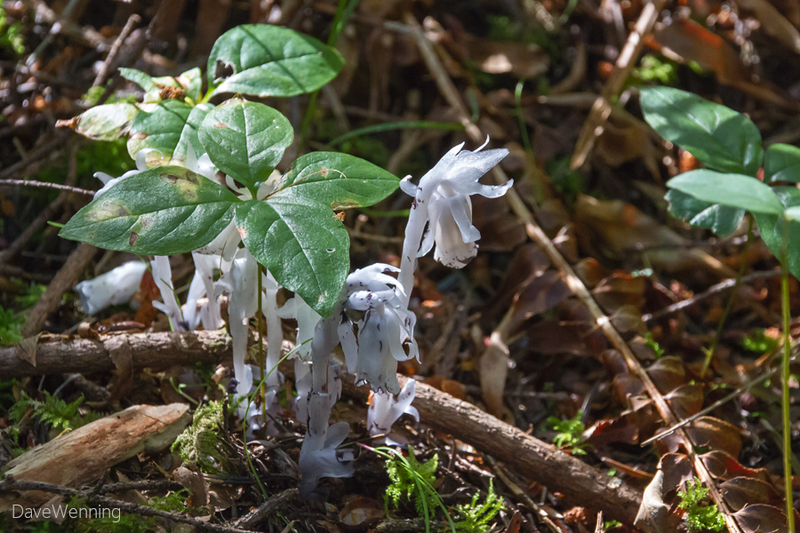 The Ghost Plant takes nutrients from the fungus without giving anything back. It thus derives its energy from photosynthetic trees by stealing it from the fungi. It can grow in complete shade as it doesn't need any sunlight at all. I spotted this patch growing at the base of a Grand Fir. The photo on the left was taken last Monday. The one on the right was shot today. This is a closer view of the same patch in the photos above taken today. Notice something new going on. 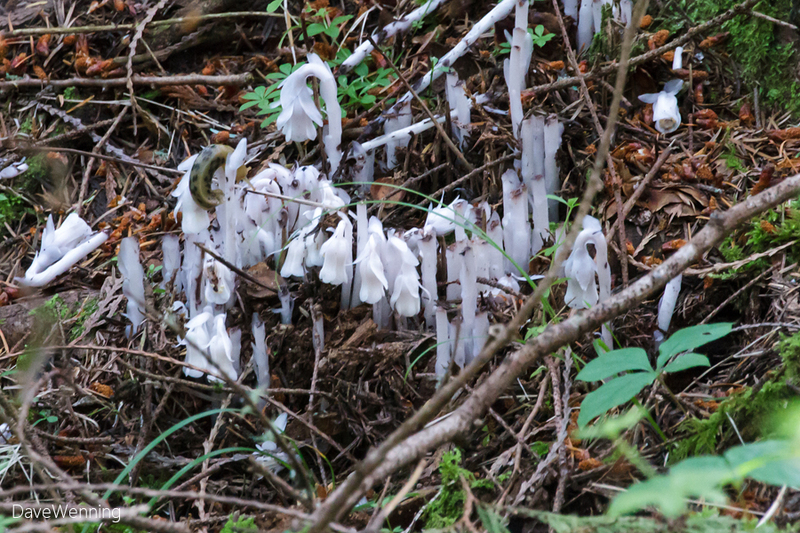 There are two Banana Slugs (Ariolimax columbianus) that appear to be making a meal of the Ghost Plants. I am a bit confused by the Ghost Plant's scientific classification. According to Wikipedia, it was formerly classified in the family Monotropaceae but now is included in the Heath family, Ericaceae. This would make it a cousin of Rhododendrons, Madronas, Salal and Kinnikinnick. 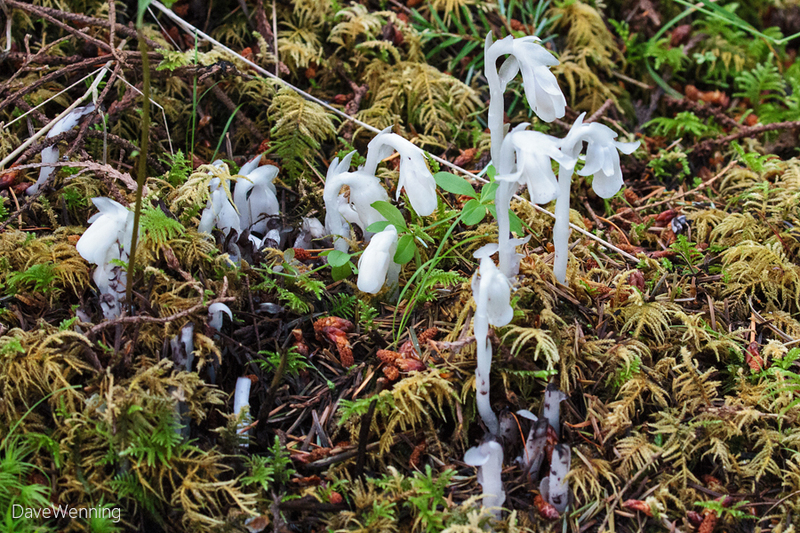 On the other hand, the USDA says exactly the opposite, formerly Ericaceae, but now Monotropaceae, the Indian Pipe family. The latter makes more sense to me. This odd little plant doesn't seem to fit in with the Heath family shrubs, but I am not an expert. Searching other websites didn't clear it up either. This is where I need an expert taxonomist to chime in. UPDATE: I contacted Ivan @WildPNW in Portland for an answer. He indicated that the Oregon Flora Project classifies it in the family Ericaceae. This is a terrific site I will add to my sidebar. You can visit Ivan's websites at Wild Pacific Northwest and Volcanolands. The UW Herbarium also classifies it in the Ericaceae family, so I will consider that definitive. 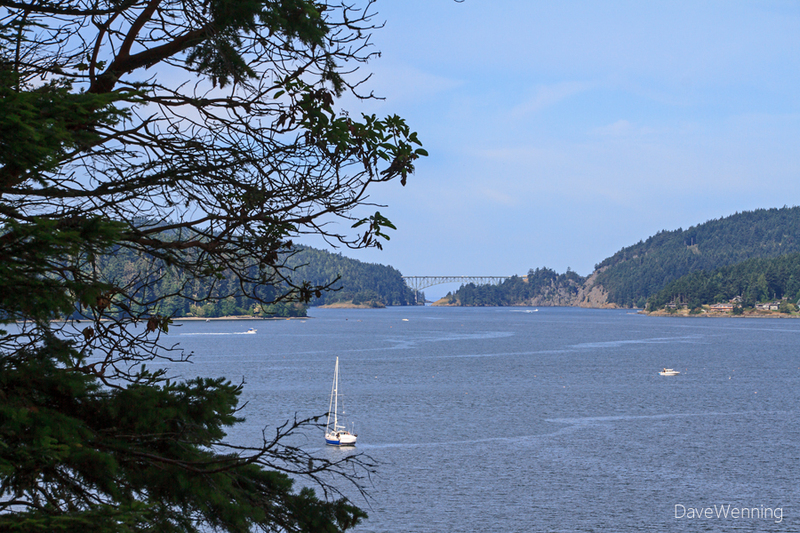 Where the Ghost Plant Trail skirts near the edge of the island, the Deception Pass Bridge can be seen. Boaters were out in force today on Skagit Bay celebrating the Independence Day holiday. The pendant flowers of the Ghost Plant will develop into a fruit capsule that points upward. I plan to return to see what those look like. If I get decent photos, I will try and post an update.